As a business or marketing consultant, you have a core area of expertise. The field you focus on, and the skills and experience that set you apart from the rest. Unfortunately, while you may be the best in your chosen field, that is not really enough when building a consulting business. You need to be able to create effective consultant proposals, to convince potential clients to make use of those superior services. Putting your proposal on paper also helps to avoid confusion later on, when clients may have assumed that something had been included, that actually had not. Once they have decided, you need to be able to provide concise, clear and informative proposals and reports. Including this section helps to demonstrate to the client your understanding of their problem. It puts in writing what you and the client have discussed regarding their situation and needs, and helps define the scope of the project right off the bat. Based on the requirements and background of the project, this details how, and to what extent, you will help them to solve their problem. Given the vast variance in possible objectives, this section is key. For example, your task may be only to observe a particular process from within the organization, and provide a report and recommendation on how to improve the process. That is very different from becoming a part of the implementation after the report has been filed, and by putting that in writing early on, you and the client are on the same page when it comes to your involvement! There will usually be some assumptions that you will have to make at the outset of any project. Again, putting these in writing at the very beginning can help further down the line. For example, you may include in your assumptions that a senior employee will be available at all times to assist with queries. Obviously, should that not be the case, your estimated time frame might be affected, which may upset your client. Getting such assumptions and requirements out of the way from day one (or earlier) helps everyone involved to make the process run a little smoother. This section deals with the method you intend to employ in order to create the desired solution. Outline each step in the process, and any models or techniques you intend to utilize. You may include a single, or many deliverables, for example, within the project management field, each task is split into many interdependent deliverables, each with an estimated time frame. 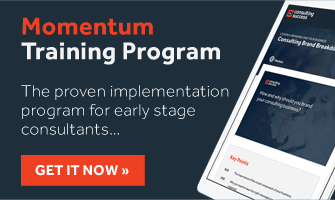 A more in depth look at the methodology, the steps, which are also related to milestones and deliverables, are set out in chronological order. Again, this does help, should there be a delay of any kind, to identify and correct the issue timeously, and get the project back on track. Once the project is set out on paper as above, it is a good idea to come up with a schedule of rates for the various deliverables or steps involved. By being as detailed as possible, you not only minimize the chance of having to add extra costs at the end of the project, but in the event that that does occur, you already have rates on which to base the additional costs. It is a good idea to include a guarantee with your project. Of course, you intend to provide the service your client needs, within the stipulated time frame, and at the price agreed, but it does help to allay any remaining fears on the part of the client to have this guaranteed in writing! If you have set up your proposal based on this guideline, then you already have your reporting structure set up! Periodically, during the project, you can simply update your clients on percentages completed, based on methodology, deliverables and steps required, as well as providing accurate billing based on completed portions. One last tip – if you start out well, keep it up! If any changes occur during the project, to the scope, deliverables, cost or methods to be used, make sure you update your consultant proposal or contract document, and send or deliver a copy to your client. When dealing with intangible items, which you will very probably be doing as a consultant, its easy for everyone to get confused. Get everything down on paper, and that will never be a problem! Can any one send Commercial proposal to me also, plzz. Please send me business consultancy written proposal. * How to send how to send a proposal format by consultancy to company. * contact letter or tie-up with a company. Hi Sachin – I think you’ll find our Consulting Proposal Guide helpful with this. It would take too long to answer you here.